How Do You Wear That? One of the best parts of working at Designer Renaissance is that we never know what we are going to get in terms of inventory. As a customer it’s like walking into a new store each time, and as a shop girl there’s a general excitement each day when we get new and unique pieces to put out on the floor! Every once in a while we get a really funky item that catches everyone’s eye, but they end up shying away from it because they don’t know how to wear it. 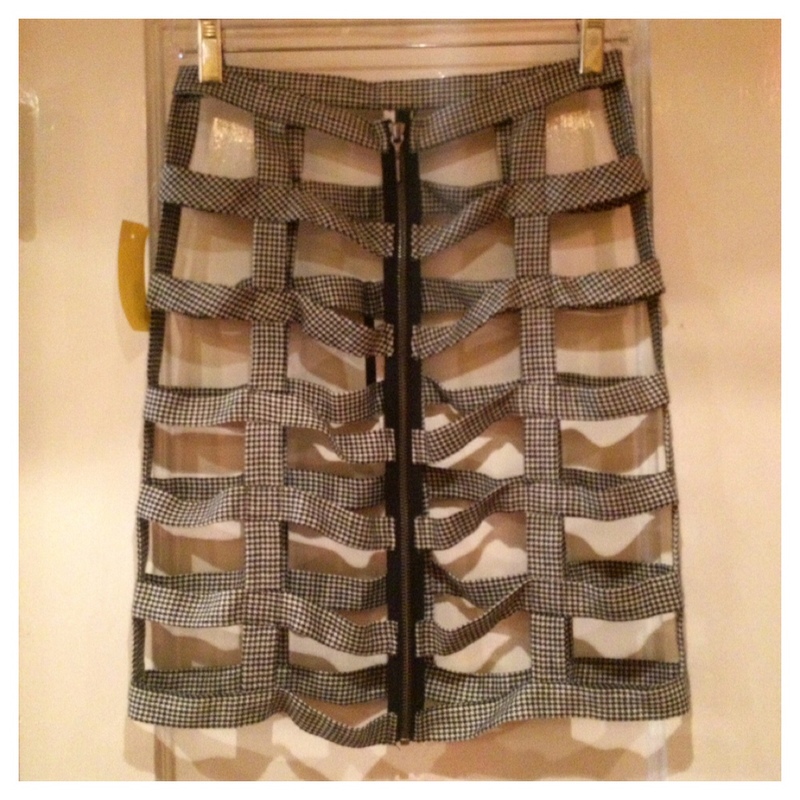 One such piece is this hounds tooth lattice skirt we received last week. By itself the skirt looks a bit daunting, but we put together 3 outfits that even the most low key fashionista could rock! One great way to wear this skirt is by layering it over a shift dress. 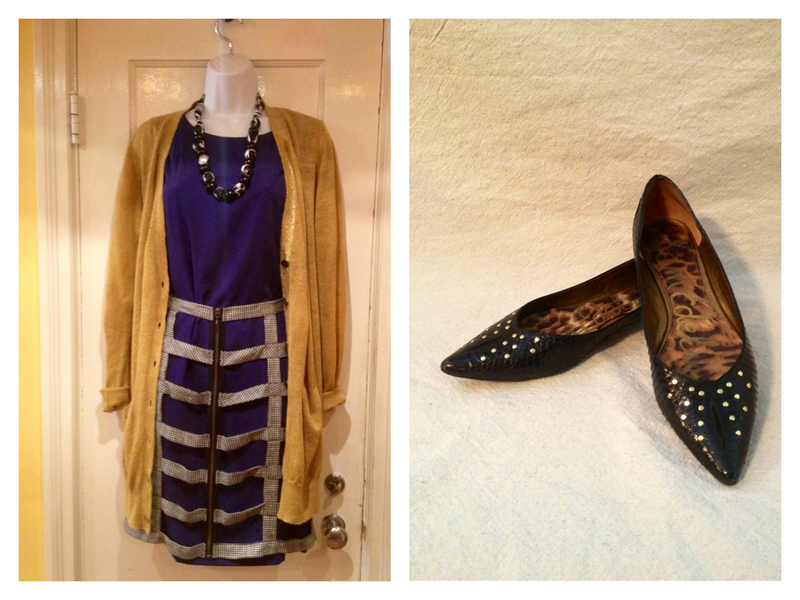 We added a cozy cardigan and flats for an outfit that is comfy, yet chic and put together! Sequin Leggings- Alice & Olivia sz S/M $40) *These are 75% off!! 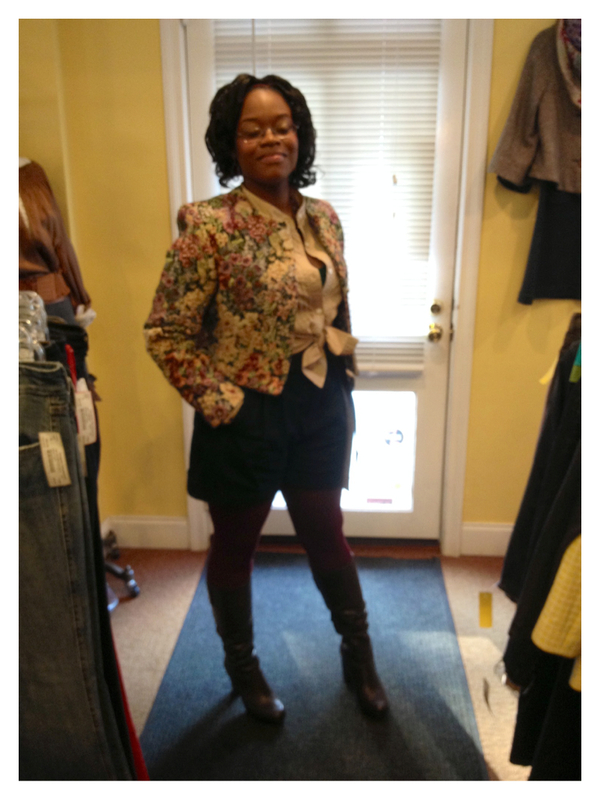 We layered fun sequin leggings under the skirt for a completely different look with this outfit. 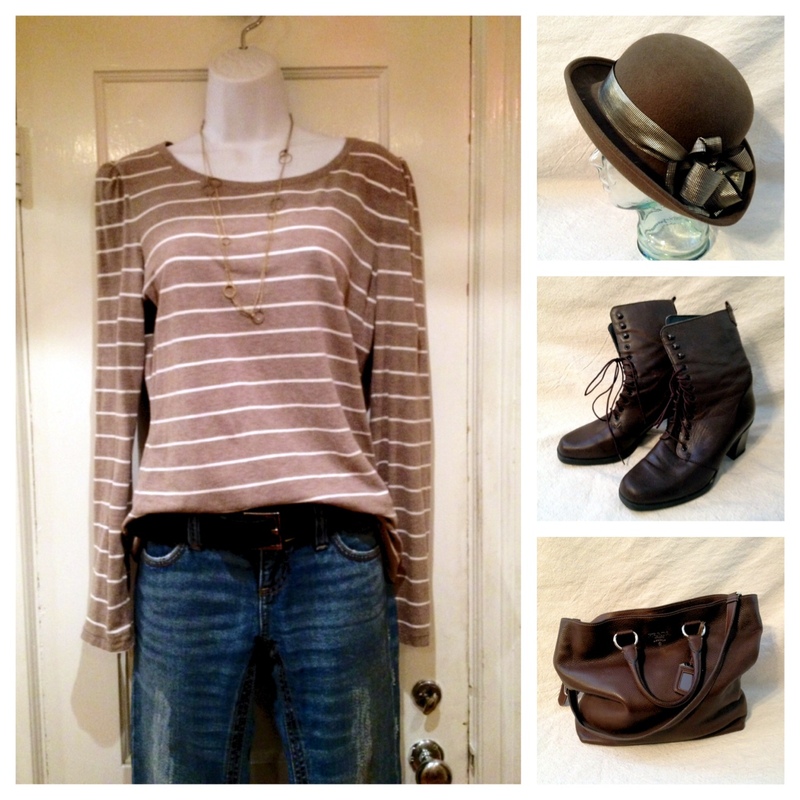 Add a slouchy sweater and some boots and you’ve got a great look that can go from day to night. If there is too much sparkle for you, swap out the leggings for some plain black ones! For a more polished and perhaps even work appropriate ensemble, we layered the skirt over a simple black pencil skirt. This is a great option for someone just dipping their toes into the funky fashion waters, because it almost looks as if it is only one skirt! How else would you wear the skirt?? 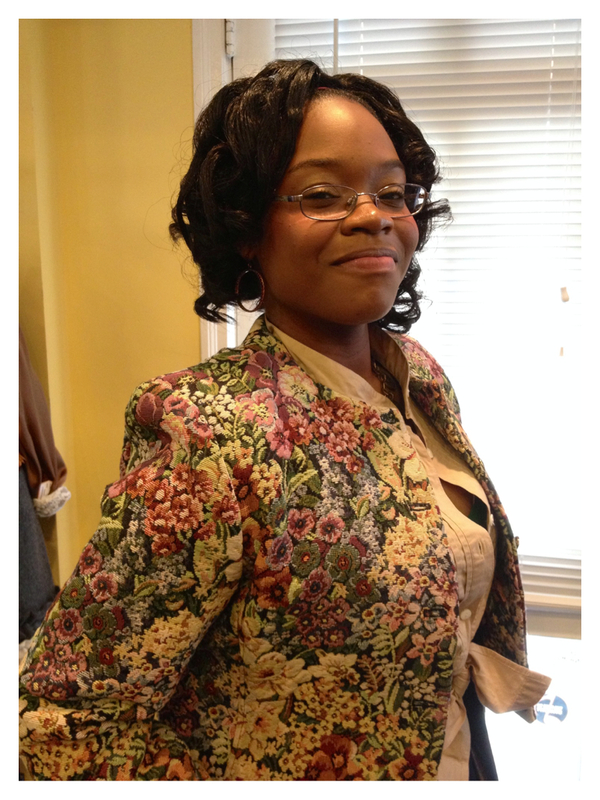 Who would have thought that a frumpy old tapestry jacket could be cute? We adore how Brooke paired it with high-waisted shorts, dark tights and boots (which she found at Designer Renaissance, of course!). 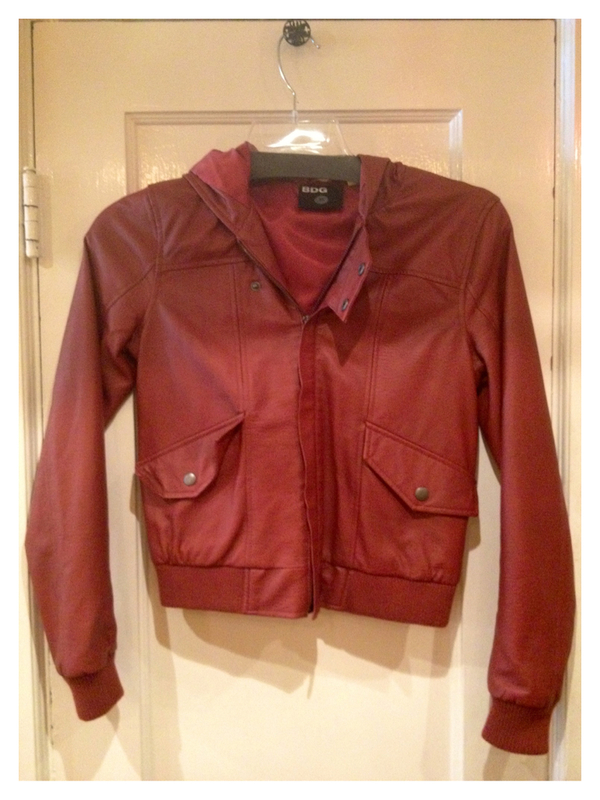 The past few days have been delightfully chilly, and we’ve been thinking about fall jackets. Among our favorites is a style that has been a fashion staple year after year, and one that has an iconic history in America as well. 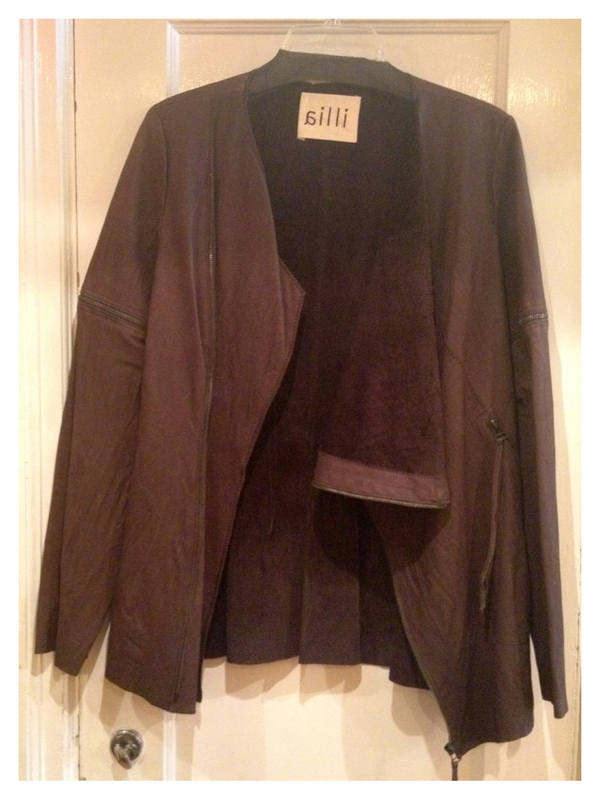 What type of cozy outerwear are we speaking of? 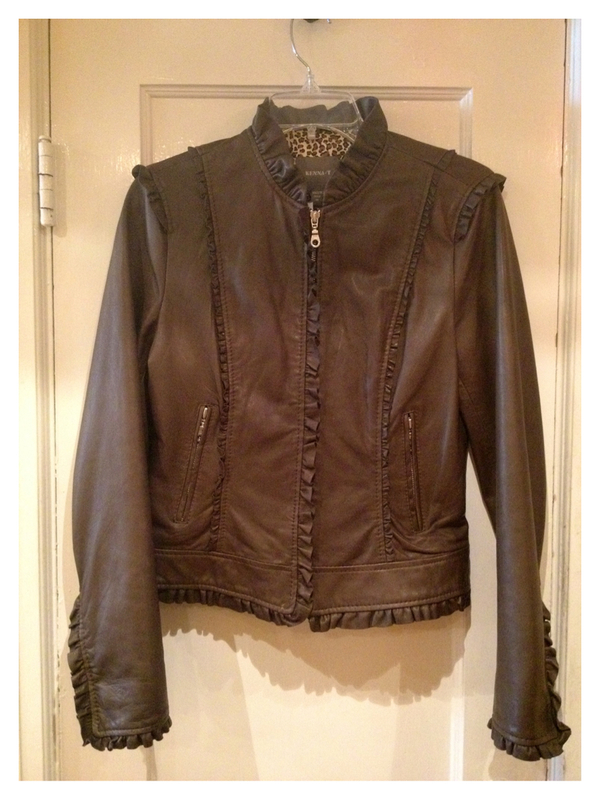 The leather jacket, of course! 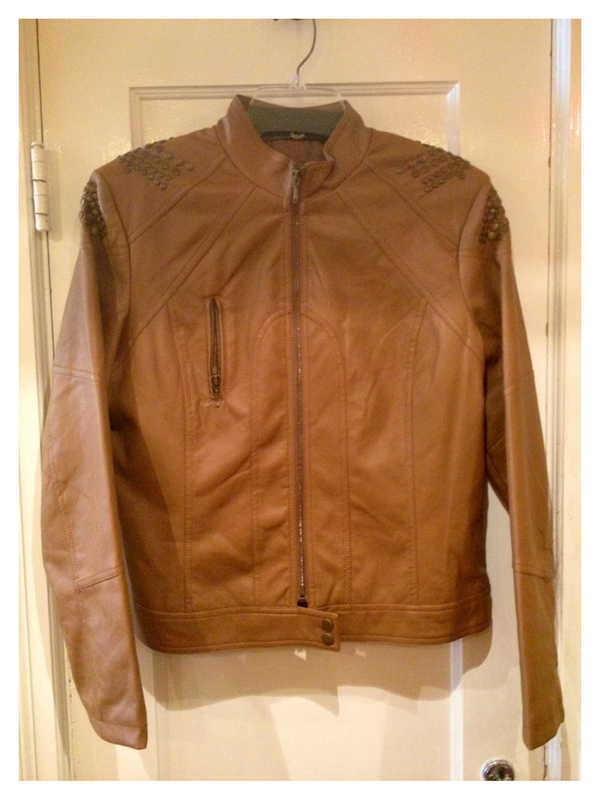 When thinking about the fall trends, and trends in fashion in general, we realized that the leather jacket is something we can pull out of our closet and wear year after year. 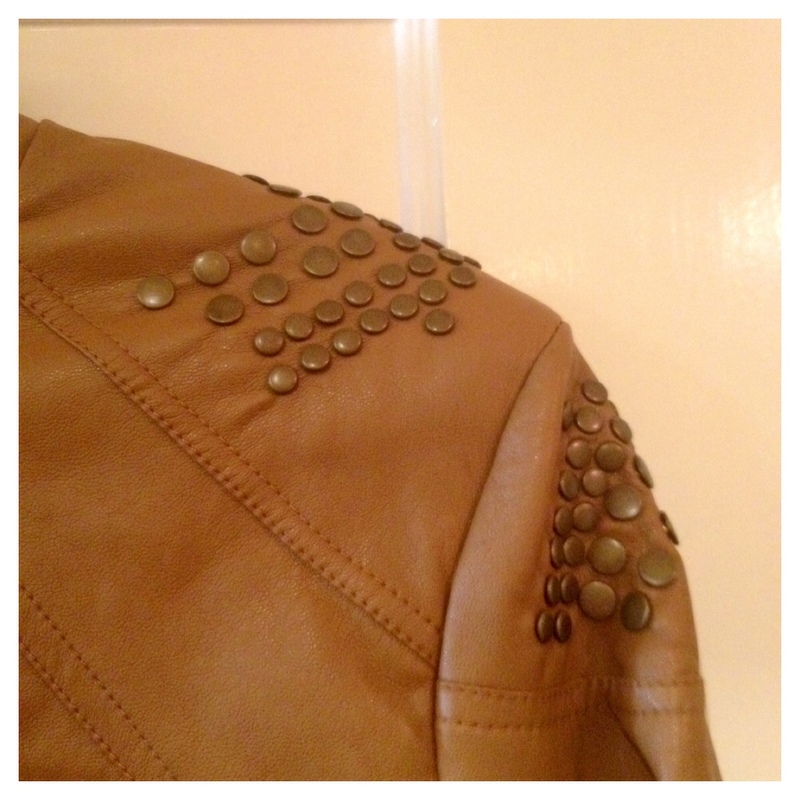 Men and women alike have been wearing it for years as both a fashion statement and for protection. 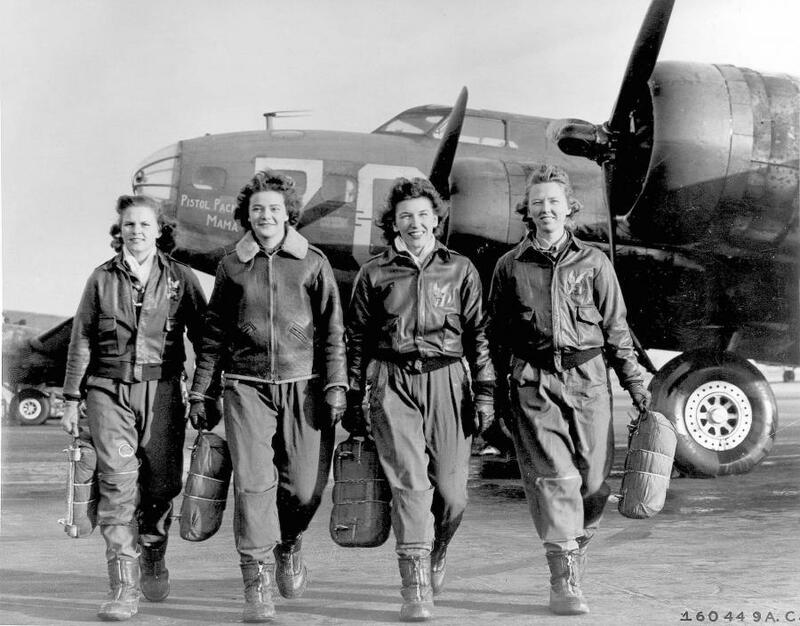 Pilots in WWII wore them up in the air (Amelia Earhart anyone? 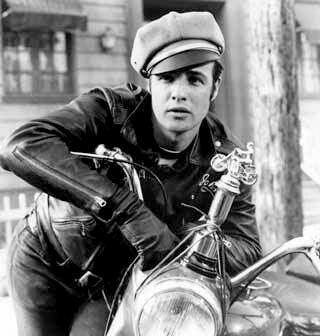 ), and Marlon Brando made women swoon and men envious in his bad boy motorcycle jacket. 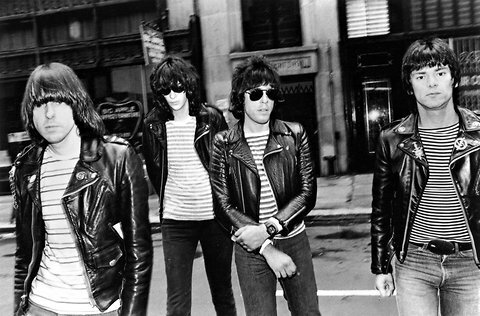 The leather jacket is also known for its “cool factor” – rockers like the Ramones (below) sported leather jackets year round. 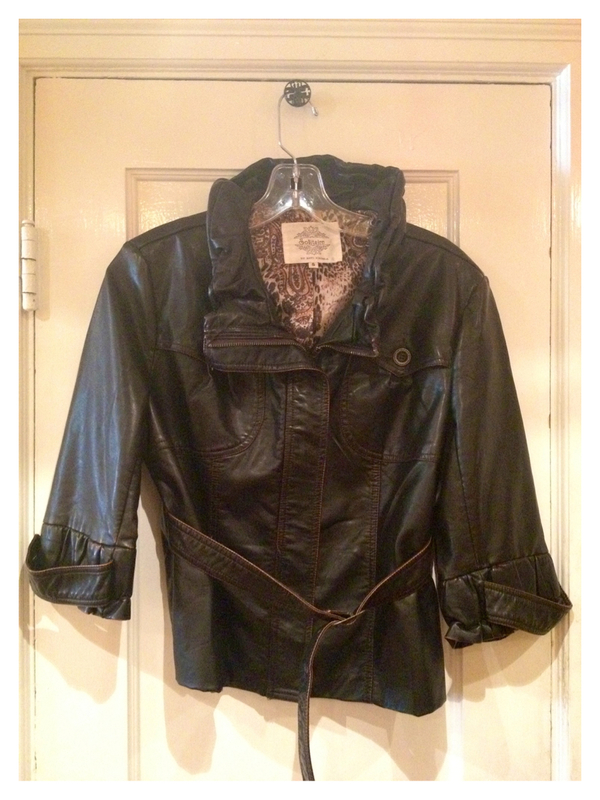 We’ve got some fabulous leather jackets in right now- from girly ruffled ones to classic bomber styles (and of course some faux leather options for our Vegan shoppers), pictured below! 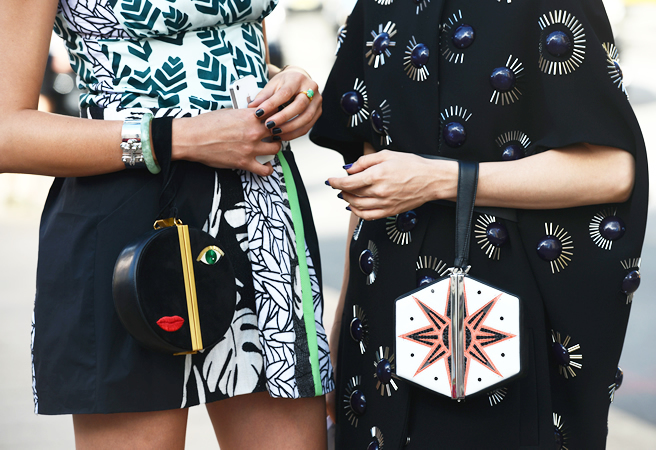 New York Fashion Week: Street Style Snaps! New York fashion week may be over, but we are still swooning over the spring collections and, of course, the street style! Yesterday we were inspired by these great photos taken by Tommy Ton for Style.com, and decided to recreate a few of our favorite looks with pieces we have in the store! 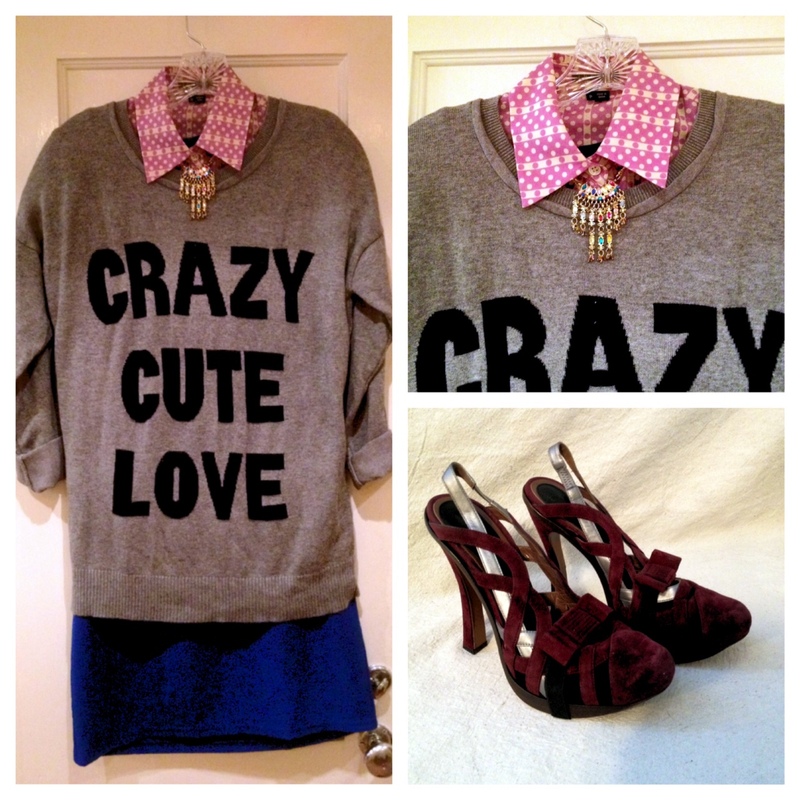 We love this fun look that combines a printed sweater or sweatshirt with a preppy blouse. 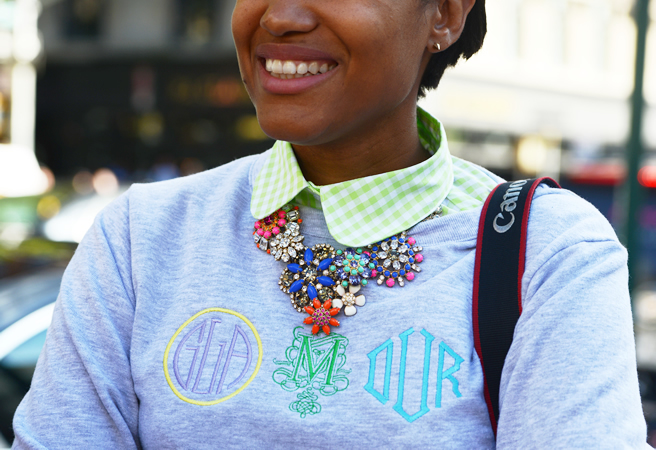 It’s a great way to dress up a casual pullover! 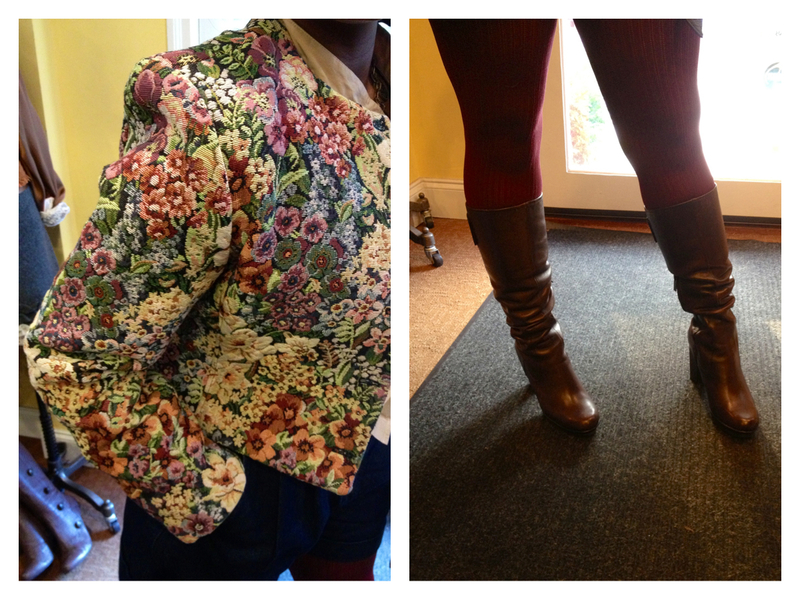 Still afraid to rock the full mixed print look that’s in for fall? Take some baby steps with this great skirt by Desigual that mixes two great graphic prints. We especially love the endless options for a top because the skirt is black and white! This look is great because you probably have most of these pieces in your closet already! Pair some slouchy, distressed jeans with a comfy striped top, a black leather belt and some little lace up boots and you’ve got an easy casual, but still chic outfit. 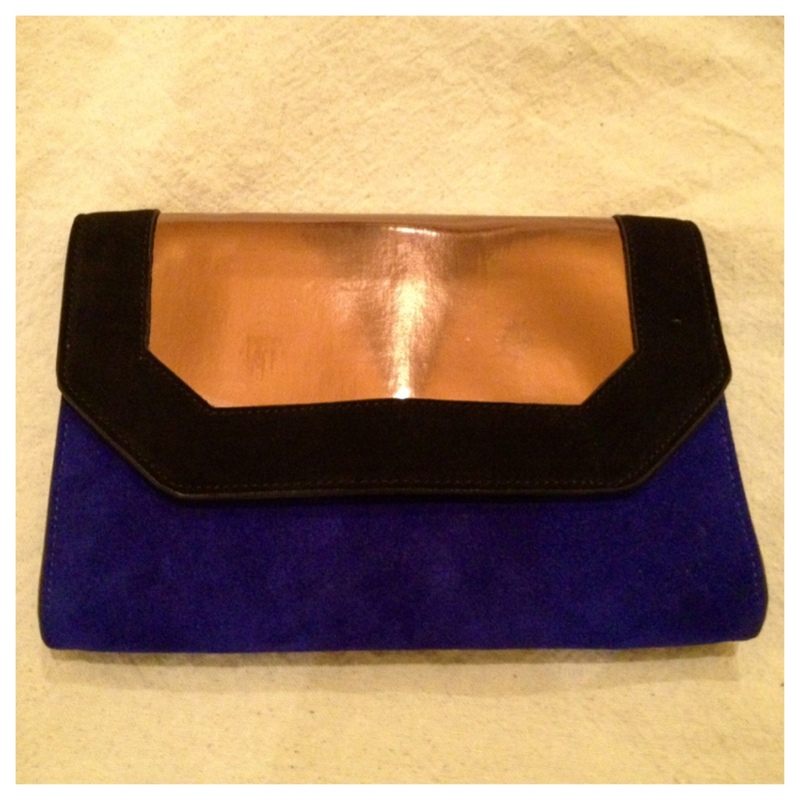 We are obsessed with this two tone suede and metallic envelope clutch by BCBG that we just got in! 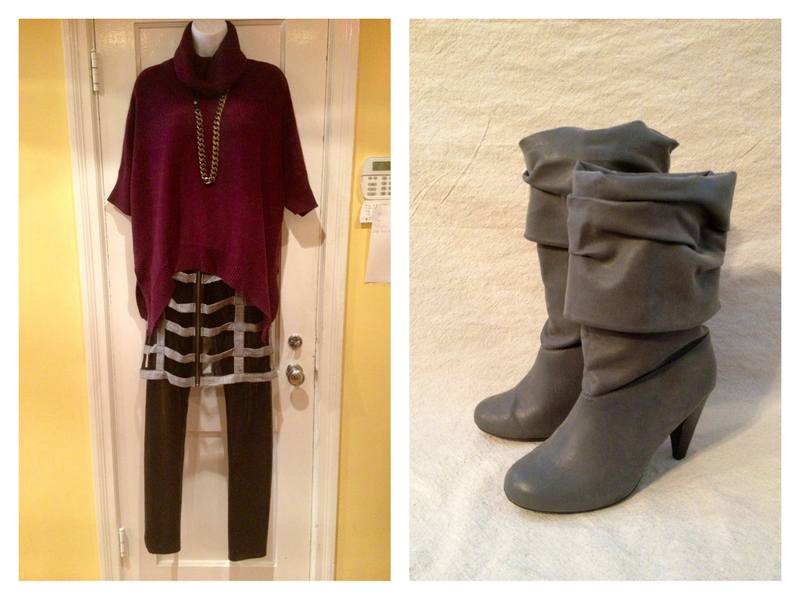 The colors and shape are so on trend for fall, and it can easily go from day to night too. 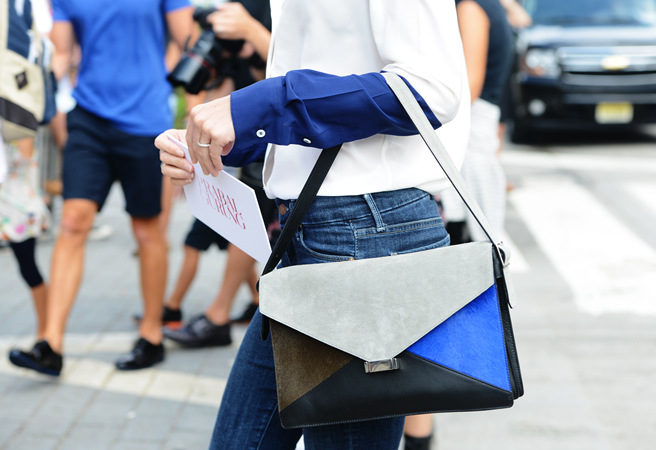 One super easy runway look to pull off yourself is the Black and Blue trend. As our inspiration we have this beautiful look from Preen’s runway show. 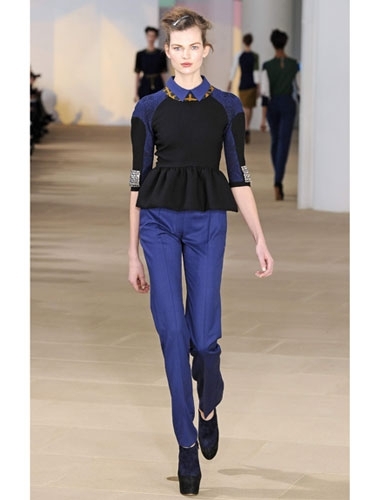 This amazing peplum top retails for about $1,600! So, for those of us who can’t afford that here are a few very reasonably priced Black and Blue outfits. 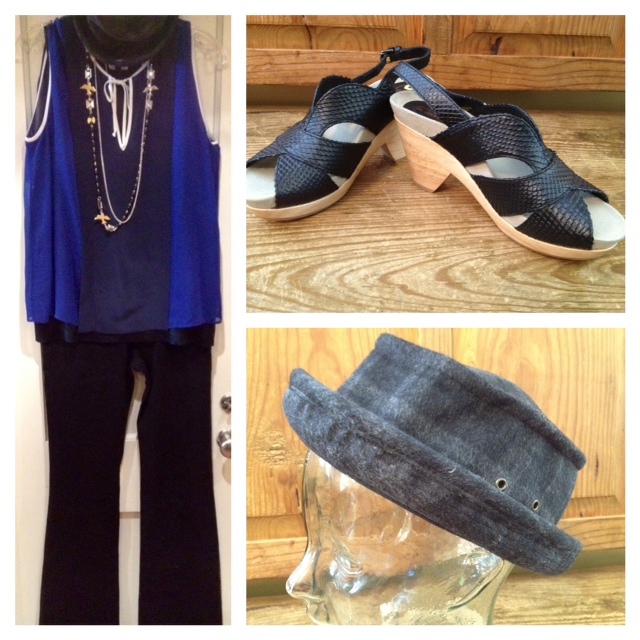 Try a double trend-Colored denim and black and blue! 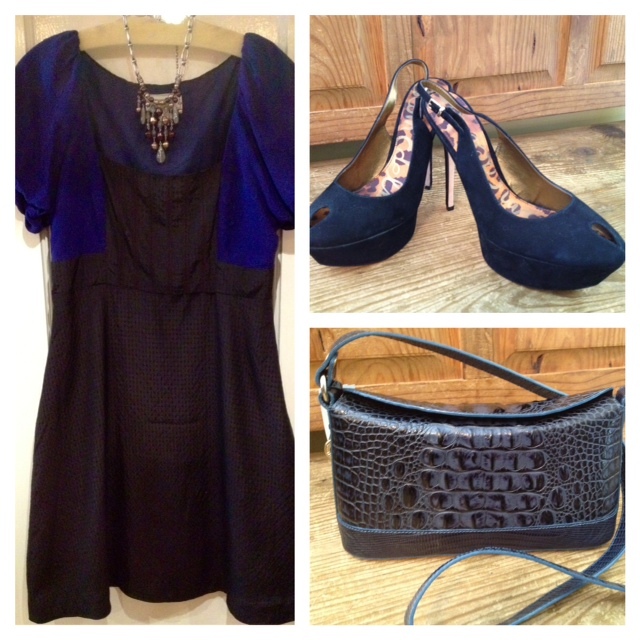 This dress already mixes the two colors, but we’ve added the navy bag and clashed it with the wonderful black stilettos. Just have fun and be confident in your outfit and we know you will rock this trend! 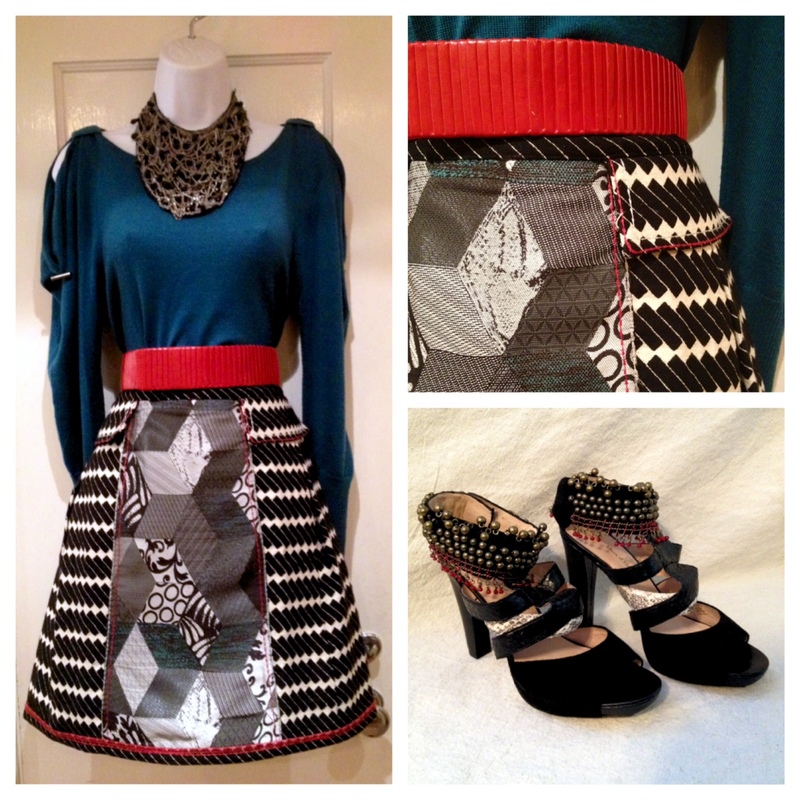 Tribal, Layers, Bowie, Oh my! What’s in and easy for this fall? 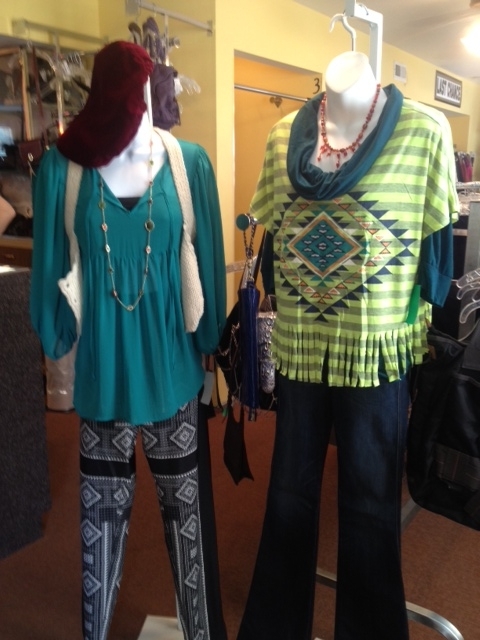 Count on seeing more tribal prints and accessories, layers and more layers, and graphic tees and sweaters. Bringin’ it back with the bell bottoms and layering. 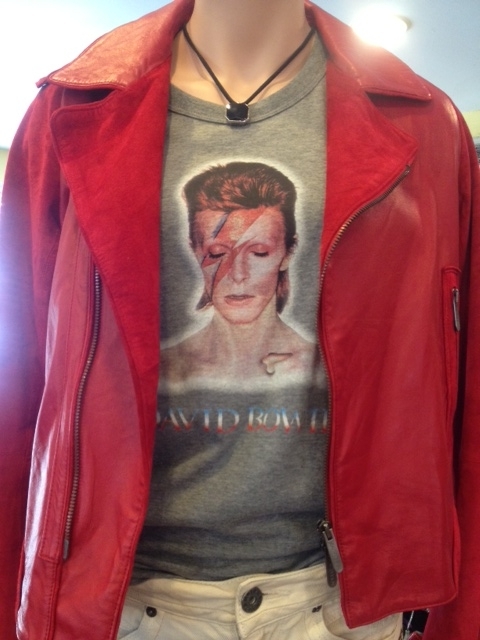 Try and find some graphic tees and sweaters-it’s HUGE this season! Last, but not least there is Tribal. You can add tribal details to your outfit by simply adding tribal inspired jewelry if you don’t want to go all out with pants or a top. 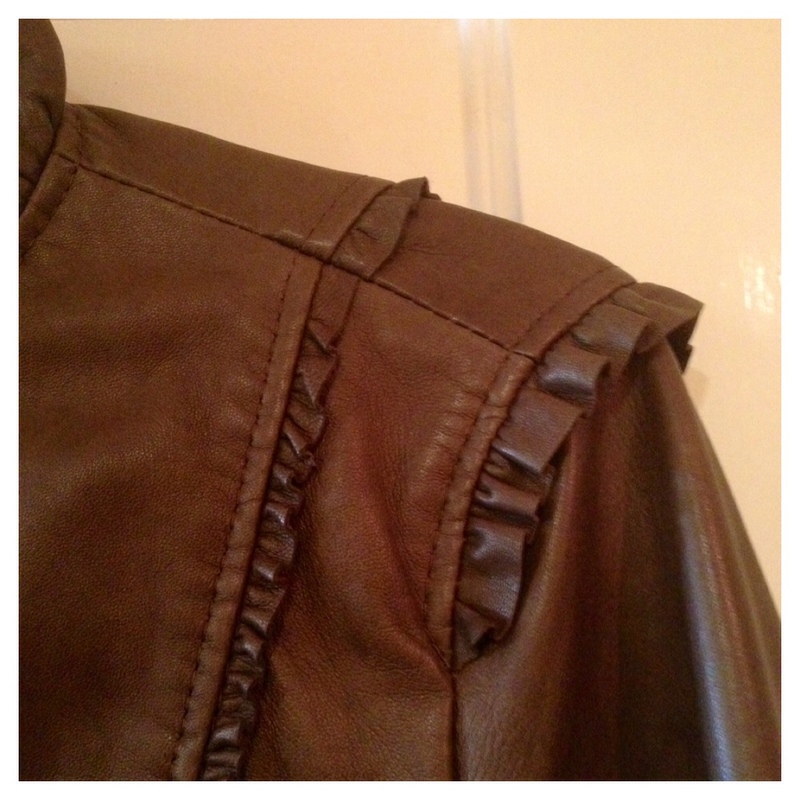 Stay tuned for more Fall trends here at Designer Renaissance.